Winners of the open source classic award at DINAcon! On 19th October 2018, at Welle7 Workspace in Bern, Switzerland, we attended DINAcon – the conference on digital sustainability. Our General Manager, Michael Meeks, had a talk about “How best to migrate to LibreOffice”, where he explained the best ways to move to a supported Open Source and Open Standards solution. Also, he talked about Collabora’s latest work with our partners, and our new tool to migrate existing legacy Visual Basic line of business apps. 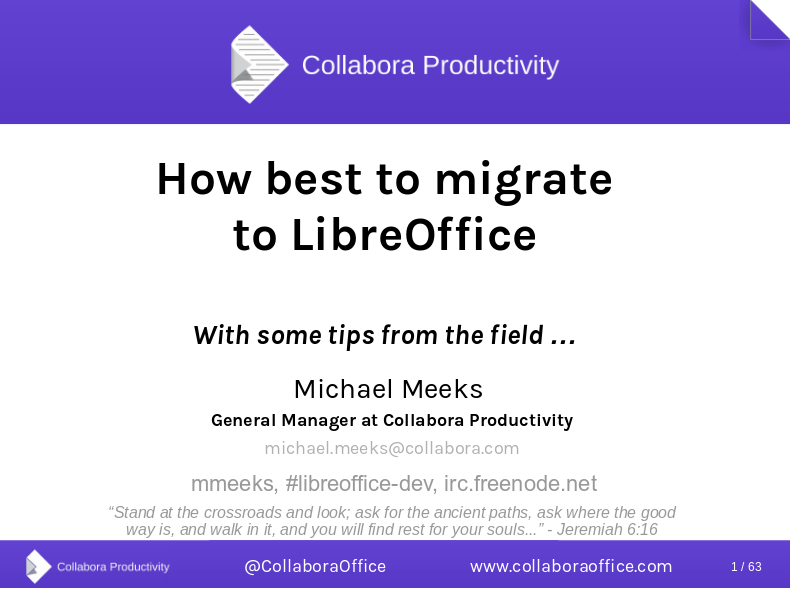 Download the slides from the presentation “How best to migrate to LibreOffice”! For this award were running a lot of amazing open source products, including Collabora Online and Collabora Office. We are honored to receive this award – it is a big motivation for the whole team! Thanks a lot everyone for your support. #DINAcon2018 HackNight is the perfect ending for a wonderful conference. Worked on a @libreoffice bug with @michael_meeks, met lovely people, shared interesting ideas and learned many new things. I had the honor to speak about @CollaboraOffice in front of the jury of the Swiss Digital Economy Award.